Enjoy a 1600 sq. foot deck with wrought iron tables overlooking the main arena and an adjoining pasture where your party ponies and horses will be available for rides. Also included is a 2,000+ foot clubhouse with a 60″ Plasma screen, a kitchen, and generous seating adjoining the deck. With our indoor arena, we can almost always guarantee your pony party will happen, RAIN OR SHINE. The clubhouse and arena allow us to host parties year-round. 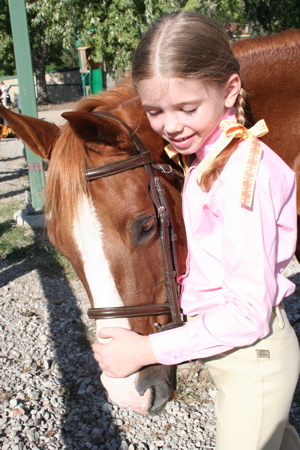 We provide the volunteers for the pony rides, helmets and all the riding gear required. Bring any food, goodies, and decorations you like. The beautiful grounds provide room for outdoor fun and games. Stay as long as you like! Unicorn pony rides and other customizations are available! Ask us.